Who doesn't love ice cream? 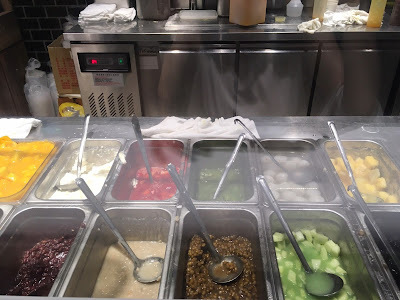 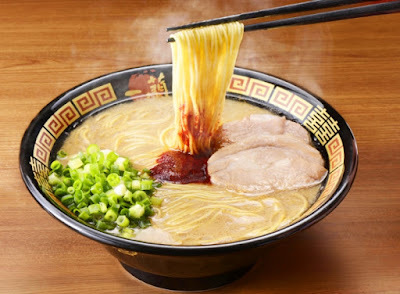 Especially in this hot summer, I think grabbing a bowl of ice definitely crossed your mind. 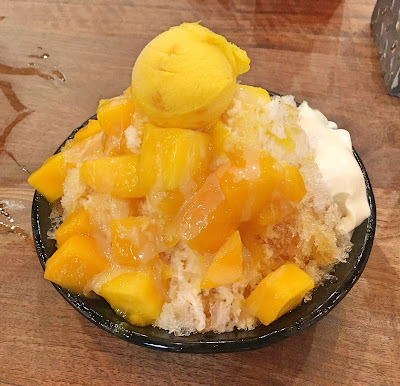 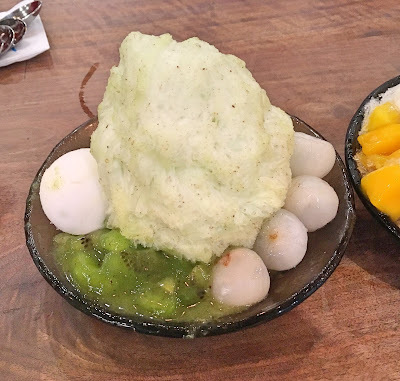 Doesn't matter if it's ice cream or shaved ice, both of them are really refreshing and yummy. 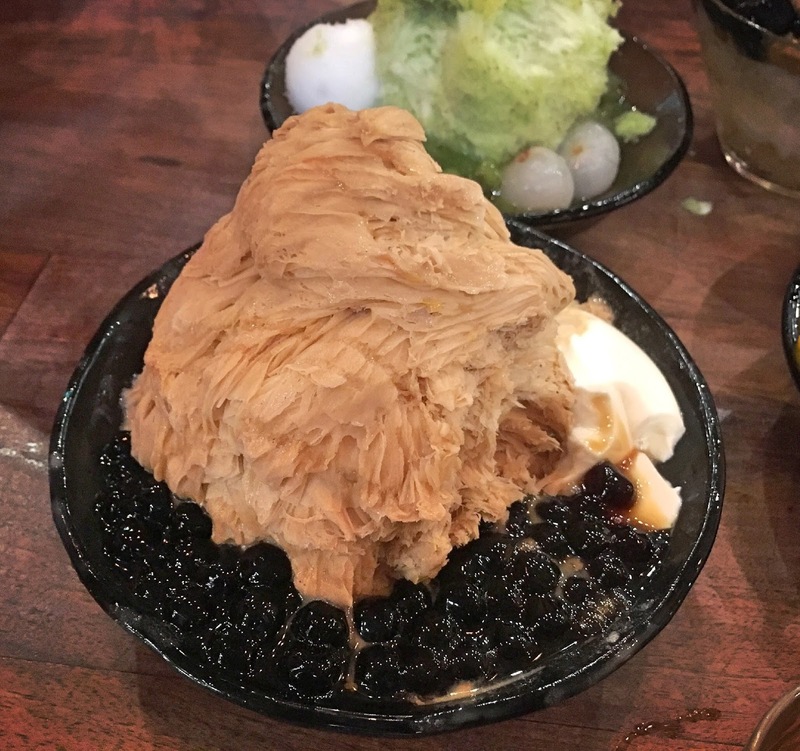 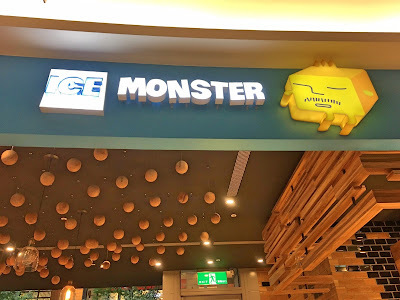 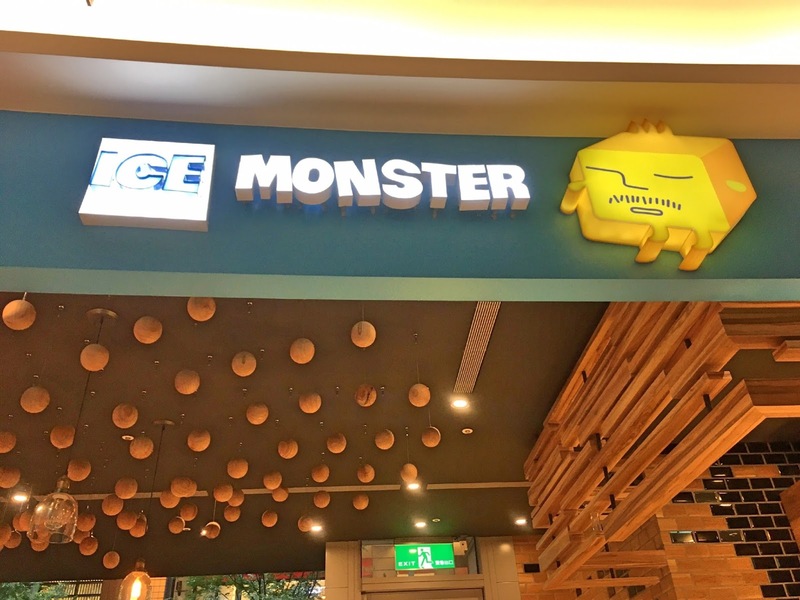 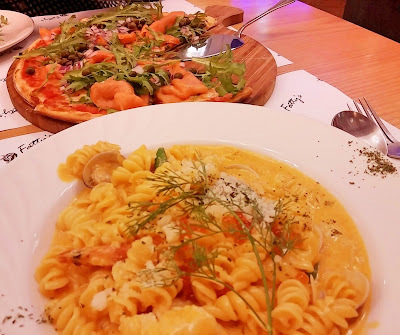 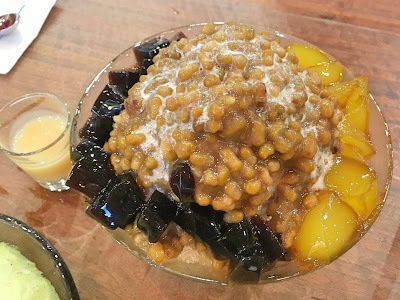 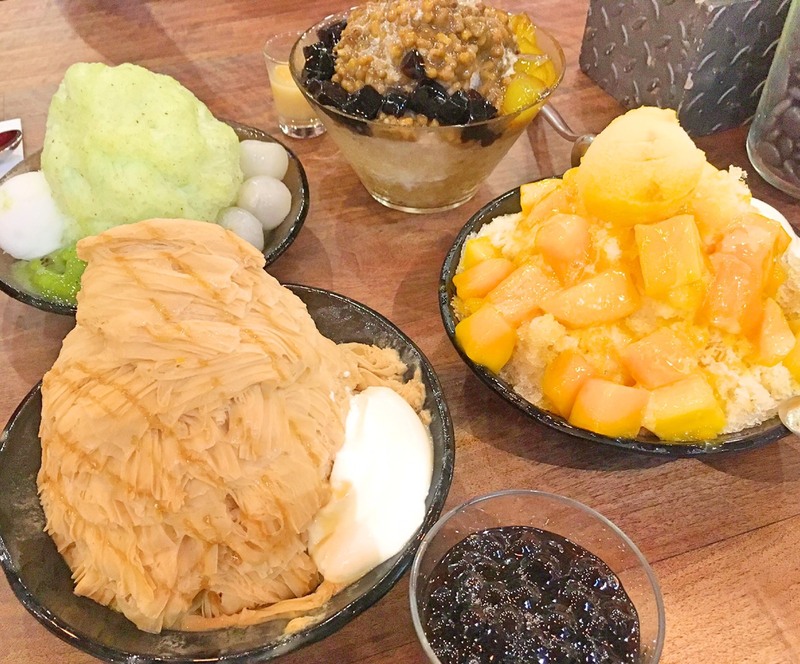 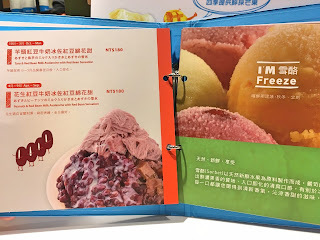 Last week when my family came to Taiwan, I took them to this place called "Ice Monster", which is located in the 1st floor of Breeze Song Gao, Taipei. 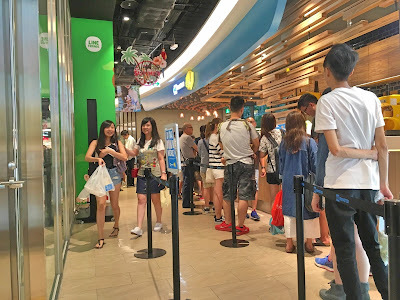 This place is very popular and very crowded, partly because the store isn't very big. This was also my first time going there actually, and when we arrived we need to queue in a line, and wait to be seated. 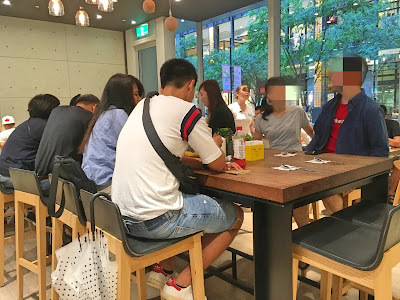 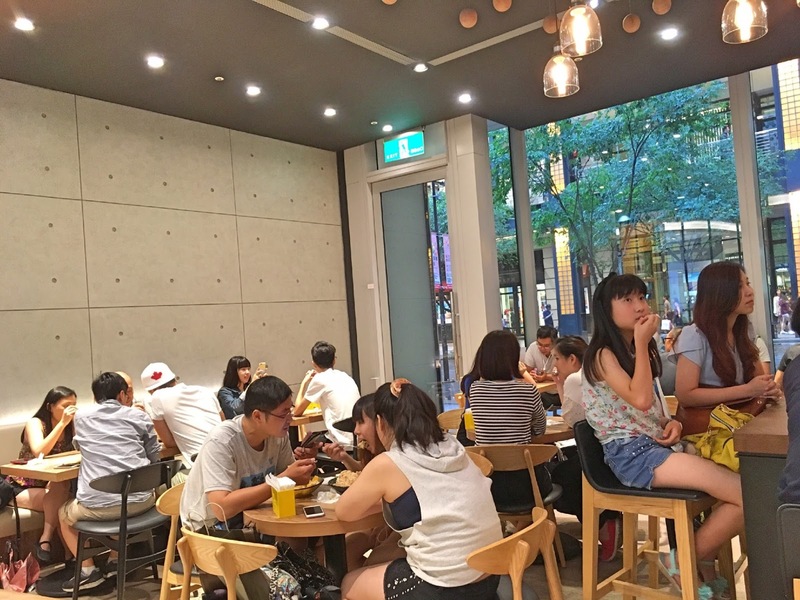 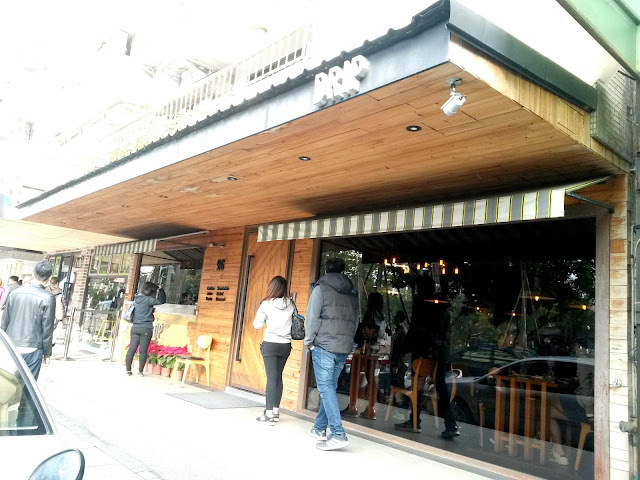 Minimum charge per person is NT$110, and they only gave you 1 hour dine-in duration. 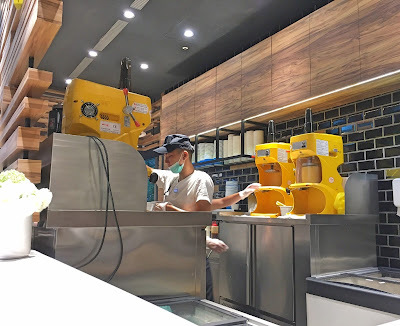 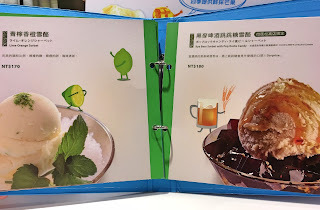 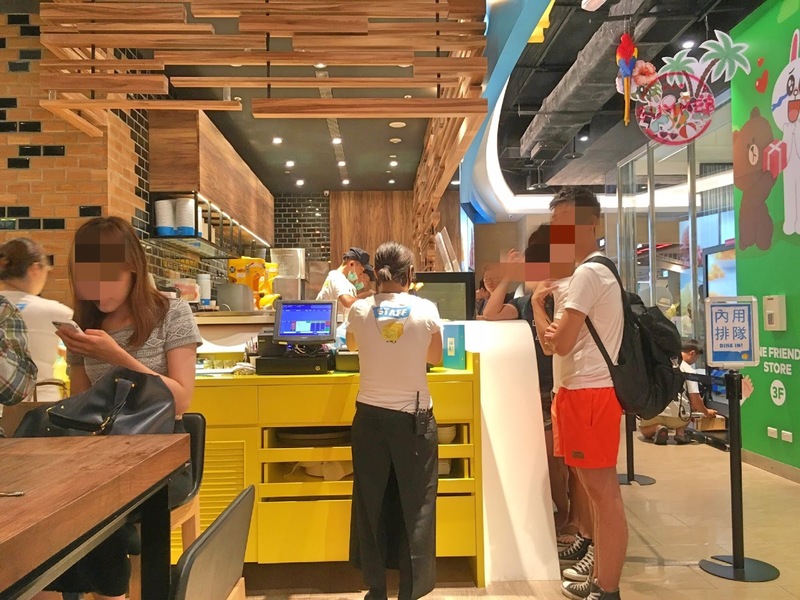 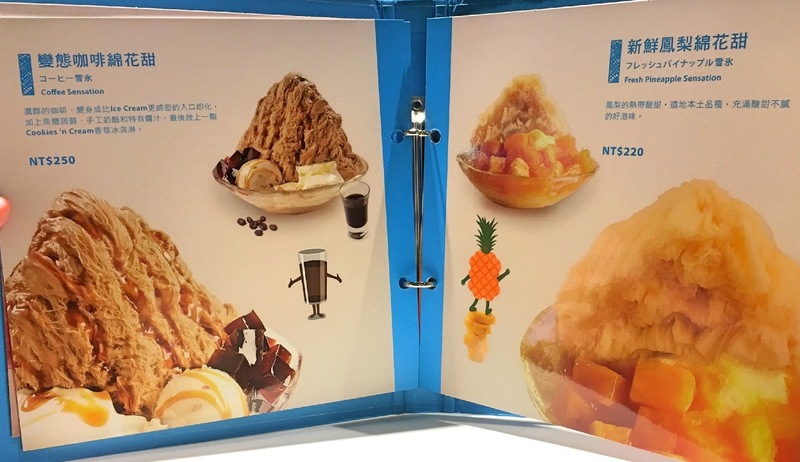 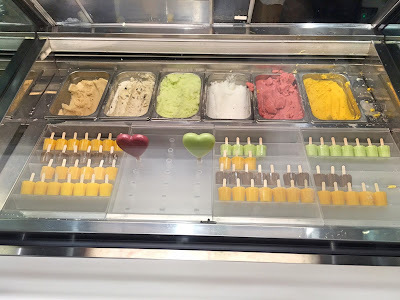 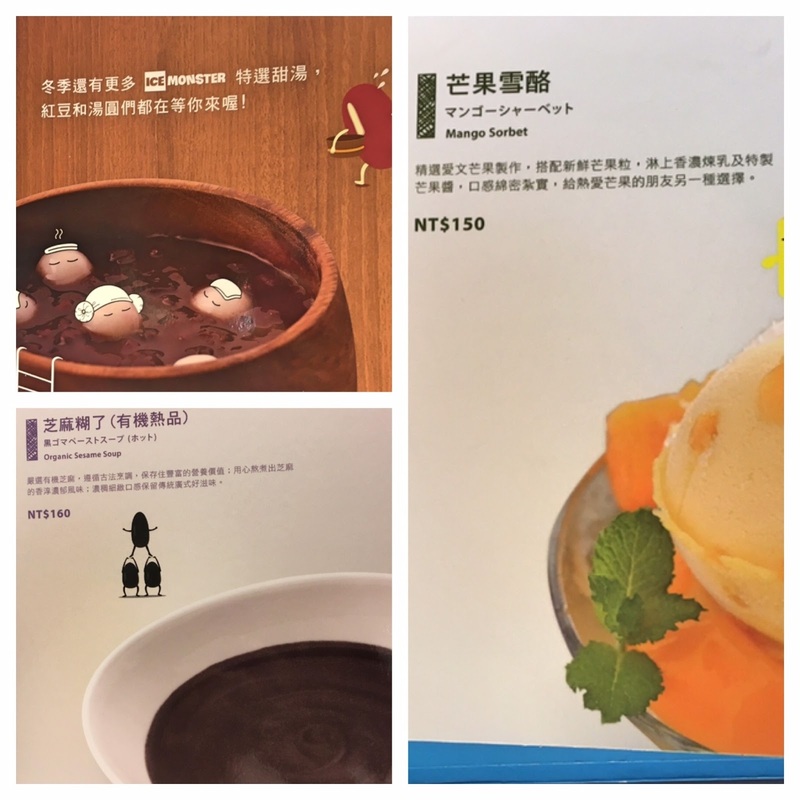 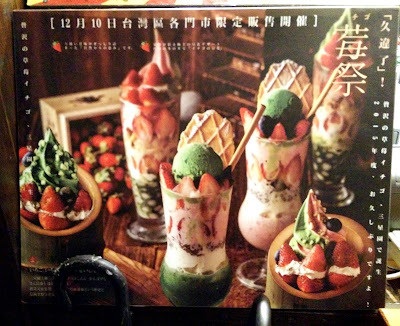 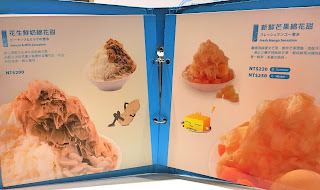 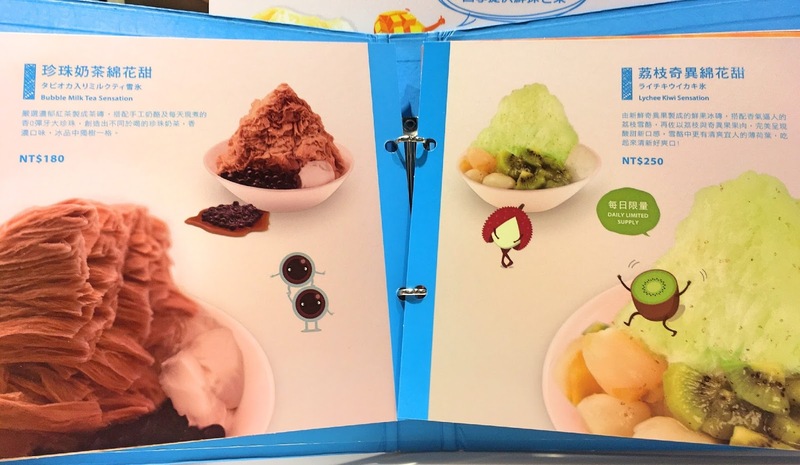 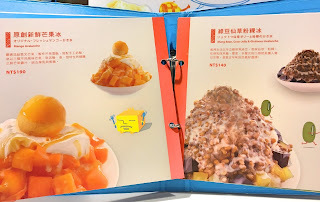 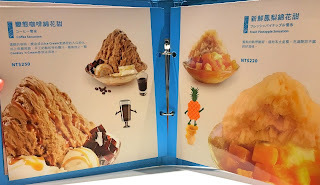 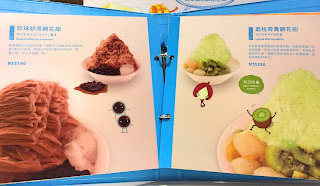 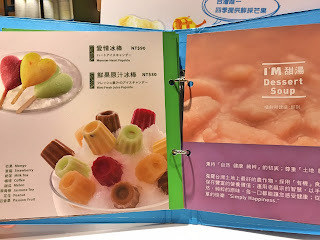 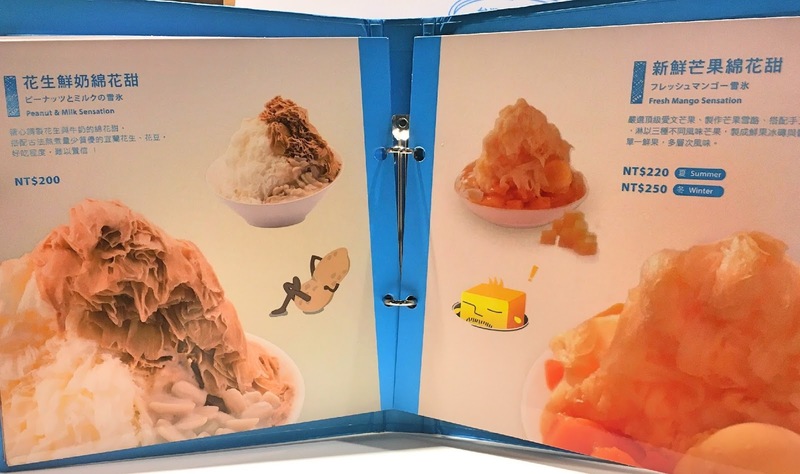 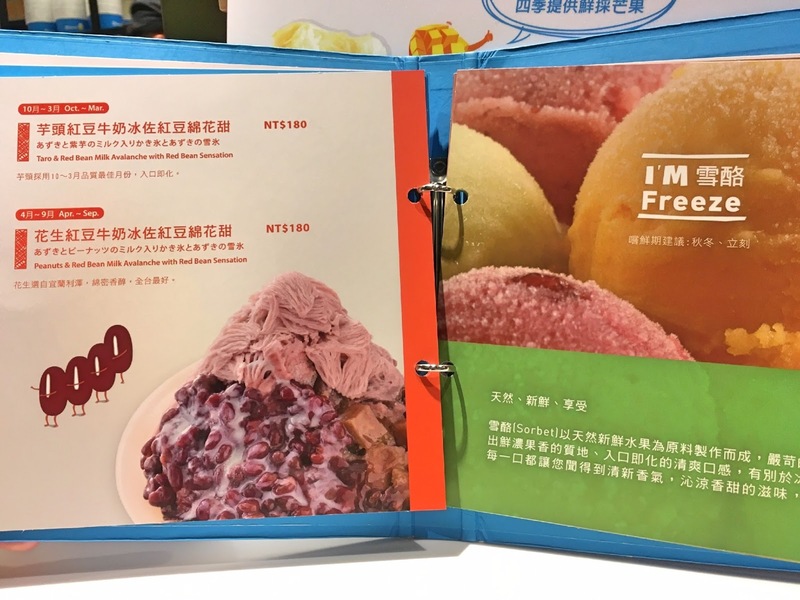 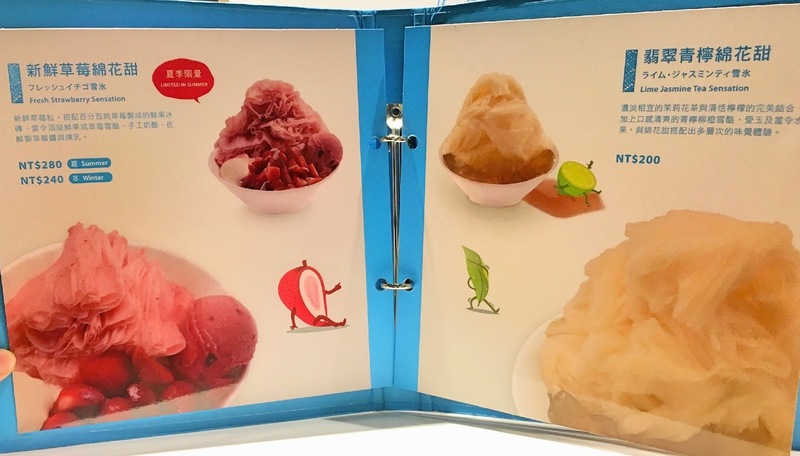 They split the menu into 6 sections, which are: Sensation, Avalanche, Dessert Soup, Freeze, Dessert, and Take Away Product. 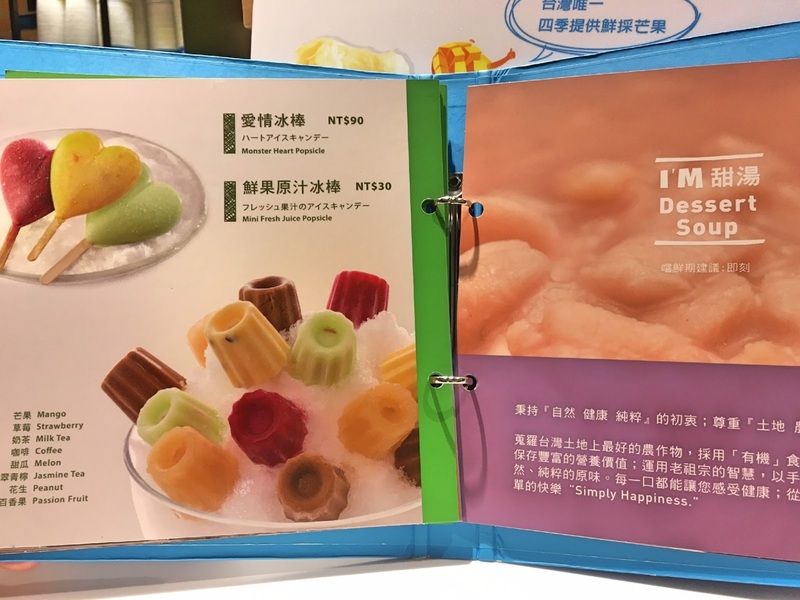 Sounds interesting, right? 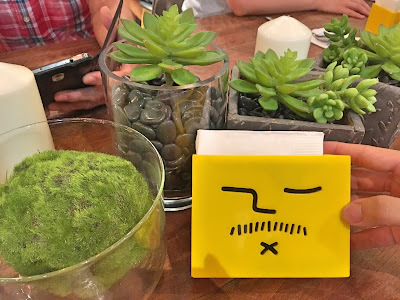 Their logo is so cute, the tissue and the box are also designed with this logo. 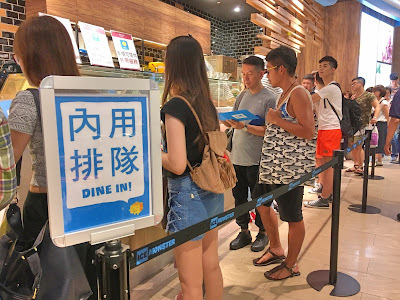 One hour dine-in duration limit.